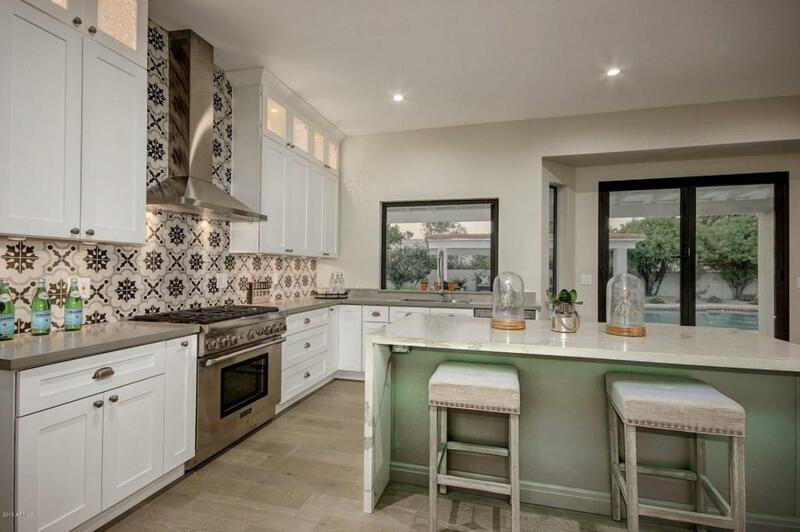 This kitchen features Quartz countertops on both the base and island. We love how the countertop complements the White Shaker kitchen cabinets perfectly and the multi-colored backsplash is the perfect accent. The Desert Sky Surfaces showroom is located at 237 S. Date St. Mesa, AZ Call 480-758-5286 to request a free professional countertop design consultation. You can view our portfolio at https://www.dsscabinetscountertops.com.